Production insurance is in the simplest terms insurance coverage designed to cover the unusual risks involved in filmmaking activities. Production companies and filmmakers and anyone who is producing a film as part of a business activity should discuss the need for production insurance with an insurance agent who specializes in the entertainment industry. General liability covers damage to the filming location and space, and injury or harm to bystanders, that is, individuals who are present but not working on the film. Individuals who are working on the film, that is, cast and crew members are covered by workers’ compensation insurance. This insurance is separate coverage that is required by every state. Workers’ comp covers the medical expenses of the cast and crew who are injured on the job and provides replacement income. Most filmmakers buy video equipment insurance. This insurance covers any and all film equipment used in your filmmaking process and production. It protects against losses for lost equipment, damage, and theft, whether your own or rent the equipment you use. When a filmmaker buys a video equipment policy, the filmmaker will need to state the value of the equipment being insured. The policy will cover up to that stated equipment value. If the equipment is rented, the rental company will likely require insurance coverage on it. 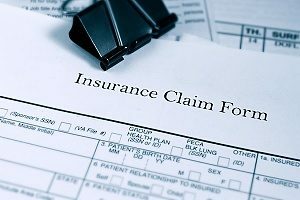 This insurance coverage protects against lawsuits alleging unauthorized use of copyrighted materials, and similar intellectual property claims. It also covers claims based on plagiarism, unfair competition, defamation and invasion of privacy. 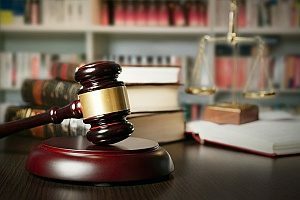 A filmmaker’s errors and omissions insurance policy may be conditioned upon an entertainment lawyer’s review of the script, clearances, releases, and other legal documents. This coverage is very helpful if the production company is sued. Considering the worldwide exposure of films, the huge number of people who make up the cast and crew, and the amount of physical strain involved in film production, a large number of lawsuits is foreseeable. The cost of defending against them and paying out a settlement or judgment can put a production company out of business. Specialty production insurance packages are available for specific aspects of the filmmaking industry. These insurance packages are tailored to the unique risks that the company typically faces. For example, special production insurance is available for student projects that are sanctioned by film schools at universities. Other insurance coverage is specific for the adult entertainment industry, foreign productions, marine and boating film productions, and films made on or near a railroad. These specialized policies have restrictions and exclusions that pertain to the scope of their coverage. Filmmakers and production companies should have some form of production insurance. Most states require at least a general liability policy for nearly every kind of business operating in the state. Having insurance puts you in compliance with those legal obligations. Another benefit is that most industry contracts require it. Standard contracts with television production companies or record labels require specific types of production insurance coverage as part of the contract. Finally, production insurance is the best way to protect you and your production company against damage to expensive production equipment and liability for personal injury. What Type of Production Insurance Is Best for Your Filmmaking Project? An annual policy is designed for a production company with multiple or serial ongoing projects; known as “DICE”, these include documentaries, industrial, commercials and education. If a production company or filmmaker has more than four projects in one year, an annual policy is the most cost-effective way to buy it. Film production presents unusual risks compared to many other businesses. Accordingly, production insurance needs to cover those unusual risks. If producing films is your primary business activity, or you just need short term film insurance for a single project, you need to get need assistance from a knowledgeable entertainment insurance agent. Experienced entertainment insurance brokers can advise you on the best coverage options available within your budget. Consult with an entertainment insurance expert before you start your filmmaking project.